The Original Quaker Oats Oatmeal Cookie Recipe is a classic that is meant to be shared as much as a batch of these cookies are shared. The ingredients are found in most pantries, and if they are not a quick trip to the grocery will fill in all the holes. Drop cookies are easy to make and are kid friendly, they are also very forgiving with regard to making adjustments. Instead of the traditional raisins, consider 1/2 cup dried cranberries and 1/2 cup chopped walnuts. Or how about a cup of chopped crystallized ginger? 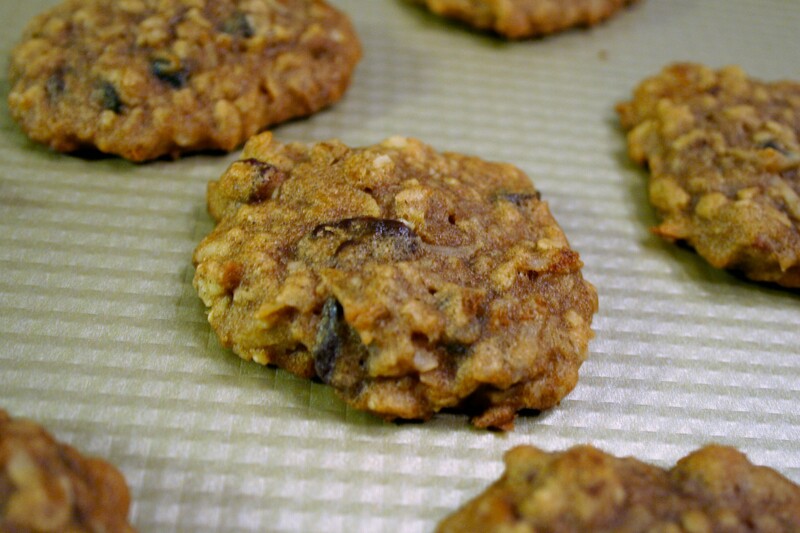 Why not combine two childhood favorites and go for a cup of chocolate chips : Chocolate Chip Oatmeal Cookies ~ YUM!